High Performance Talks is an interview series focusing on improving performance through better health and wellbeing. In ten episodes, you hear fascinating stories from Formula One drivers, top executives, entrepreneurs, university professors and our very own Hintsa experts. 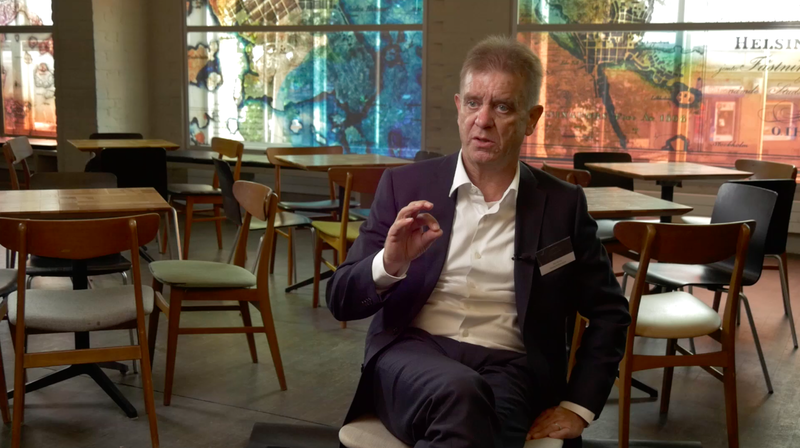 In episode 10 of our series the late Founder of Hintsa Performance, Dr. Aki Hintsa, goes through the Circle of Better Life model and discusses why wellbeing is the key to high performance. During his long medical career, Dr. Hintsa worked with several top athletes, such as runner Haile Gebrselassie and F1 Champions Lewis Hamilton and Sebastian Vettel as well as leaders of Fortune 500 companies. After his passing in 2016, Hintsa Performance and its team of specialist and coaches continue Dr. Hintsa’s mission to help people reach better life and better performance. What are the first questions you ask from a client? What is the key to reaching better performance? Could you tell us more about the principles of the Circle of Better Life model? “We start always from the inside, from the person’s core motivations. And this may sound a little weird, but we want people to first answer to three questions: Who are you, i.e. what’s your identity? What is your purpose in life, i.e. what is your real target? And then the third one – which can be very tricky nowadays – Are you in control of your life? We are calling all of this the Core. People have to start from the inside, and after that, we go to the more practical areas. Physical activity is one area. Optimising nutrition is another – you have to find a healthy way to feed yourself. Sleep and recovery is the third area. We also have to take care of the mechanical body. We call this area biomechanics. It’s a mixture of sports science and proactive occupational health care. Due to inactive environment or inactive lifestyles, people tend to have more and more problems with their bodies. We have more and more back problems, we have problems with our joints, even early arthritis. Obesity is related to these. The fifth area is mental energy. People have to have energy in their mental systems. This is what we believe in Hintsa. It is one of the main areas where we can develop people. Good mental energy also gives meaning to their Core and balances their social environment, family and children. The sixth element then is general health. This means that health screenings and proactivity in health issues are some of the key parameters in our system. How do your clients usually start to implement changes during their Hintsa journey? What would be your one single piece of advice for improving wellbeing?